It might be time for Snapchat investors to find the bull's horns filter. The worst may finally be over. Shares of parent company Snap Inc. (SNAP) are up 8% in the past week. Why? Snapchat appears to have a found an unlikely ally — famed short seller Andrew Left of Citron Research. Left has made a name for himself by targeting stocks that he thinks will go down. He admitted as much in his report about Snapchat earlier this week. "Over 17 years, Citron has battled companies with questionable business models, fraudulent practices and companies that are otherwise overvalued," Left wrote. But he added that short sellers, who borrow a stock and quickly sell it in hopes of buying it back later at a lower price and pocketing the difference, sometimes make the mistake of getting too gloomy about some companies. "We have seen this setup too many times and we have even fallen victim to it, but not this time!" Left wrote. Left is kind of like Mikey from those old Life cereal commercials, the kid who hates almost everything. So why does he like Snapchat? Simply put, all the bad news is baked in. Left admitted that the company had been a "wonderful short." A redesign was widely panned by Snapchat users, including celebrities like Kylie Jenner. And a weak earnings report showed sluggish user growth and revenue. As a result, Left pointed out that Snapchat now trades at a more attractive valuation based on future revenue growth than Facebook (FB), which owns Instagram, and Twitter (TWTR). He also noted that the recent investment in Snapchat by Chinese tech giant Tencent (TCEHY) is a big endorsement in the company. Even after this week's rally, Snap stock is down more than 20% this year and near its all-time low. Left also thinks many other Millennials and today's so-called Generation Z teens are flocking back to Snapchat after the redesign snafu. He joked that Kylie Jenner's criticism of Snapchat turned out to be short-lived. "Not only is Kylie Jenner back on SNAP but even better, we have the Kardashian and Jenner children on Snapchat. Why? 'Cause Snap has the best filters," Left wrote. "Looks like the Kardashian breakup with Snapchat lasted as long as a Kardashian relationship." That may be a bit harsh. 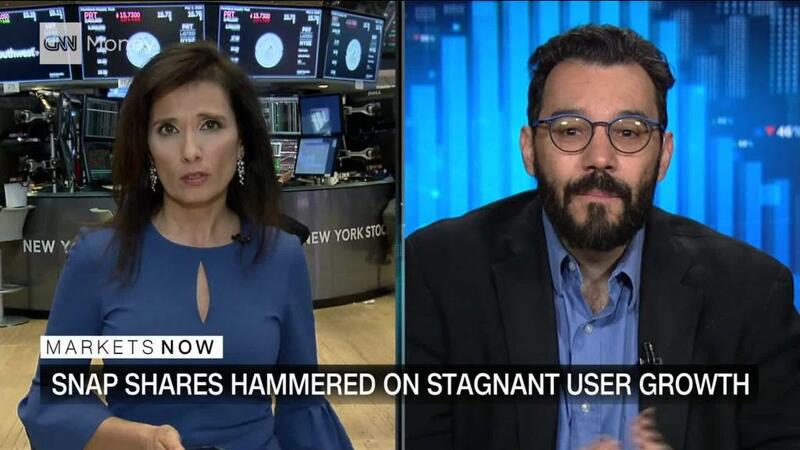 Still, Left, who routinely bashes stocks in Citron reports, on the Citron Twitter feed and on financial TV news outlets, is somewhat bullish on a stock that is being scorned by many on Wall Street. "Snapchat is not a fad," he wrote. "Whatever criticism shorts might have of the SNAP stock, you cannot ignore the size, scale, and reach of the product which has the mindshare of the most important demographic in the market." The biggest complaint that many investors have is that there's not much unique about Snapchat. Instagram has copied many of its features — and posted stronger user growth as a result. Left recognizes that may still be an issue. He thinks another reason to own the stock is that Snapchat may sell to a larger rival within the next year. "Citron believes that SNAP does not even get to grow up before it gets acquired," Left wrote. He added that it could be a target for Google or even Apple (AAPL).